Why should we never listen to people who explain rather than do? Why do companies go bust? How is it that we have more slaves today than in Roman times? Why does imposing democracy on other countries never work? The answer: too many people running the world don't have skin in the game. In his inimitable, pugnacious style, Nassim Nicholas Taleb shows that skin in the game applies to all aspects of our lives. It's about having something to lose and taking a risk. 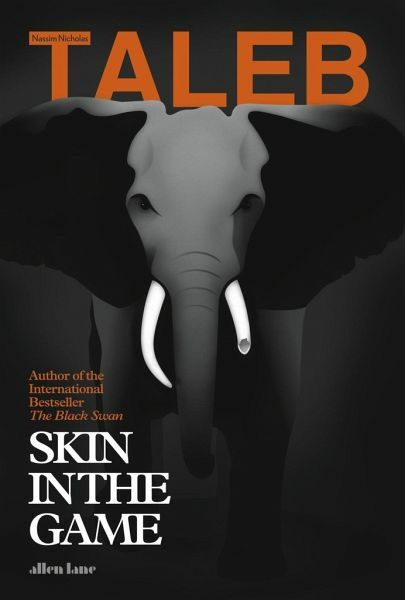 Citizens, lab experimenters, artisans, political activists and hedge fund traders all have skin in the game. Policy wonks, corporate executives, theoreticians, bankers and most journalists don't. Nassim Nicholas Taleb spent twenty-one years as a risk taker before becoming a researcher in philosophical, mathematical, and (mostly) practical problems with probability. Although he spends most of his time as a flâneur, meditating in cafes across the planet, he is currently Distinguished Professor at New York University's Tandon School of Engineering but self-funds his own research. His books, Antifragile, The Black Swan, The Bed of Procrustes and Fooled by Randomness (part of a multi-volume collection called Incerto, Latin for uncertainty), have been translated into thirty-seven languages. Taleb has authored more than fifty scholarly papers as backup to Incerto, ranging from international affairs and risk management to statistical physics. He refuses all awards and honours as they debase knowledge by turning it into competitive sports.